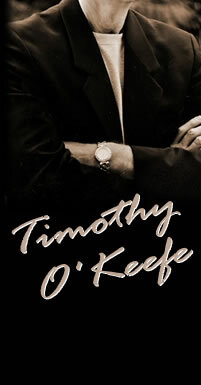 In addition to being in front of the camera for the past 25 years, Timothy O’Keefe has provided the ‘voice’ for hundreds of commercials endorsing a myriad of products with his trademark warm intuitive interpretations. Whether it be a rousing introduction to the latest automobile or the most sensitive plea for a worthy cause, Timothy delivers with believability and honesty. Home Depot, Tylenol, Nikon and Ford.